Happy Tuesday and Happy Valentine’s Day! I don’t have any special plans this year for Valentine’s Day so I’m taking my mom out for dinner. It will be just us girls! I’ve never been a huge Valentine’s Day fan because I think it’s important to celebrate the people in your life every day. But there is always an occasion to get dressed up and make yourself look great. 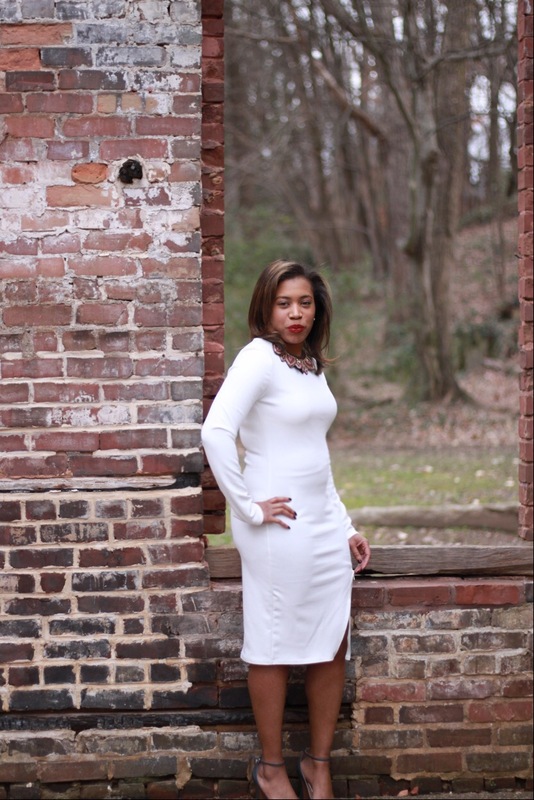 I brought this white dress in December for a holiday party. 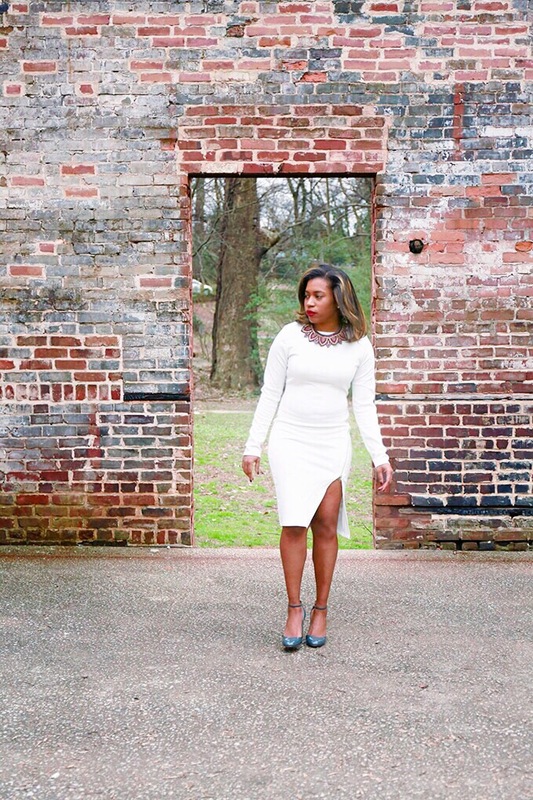 I love the way winter white just pops and I think every woman should have this as a key piece in their wardrobe. 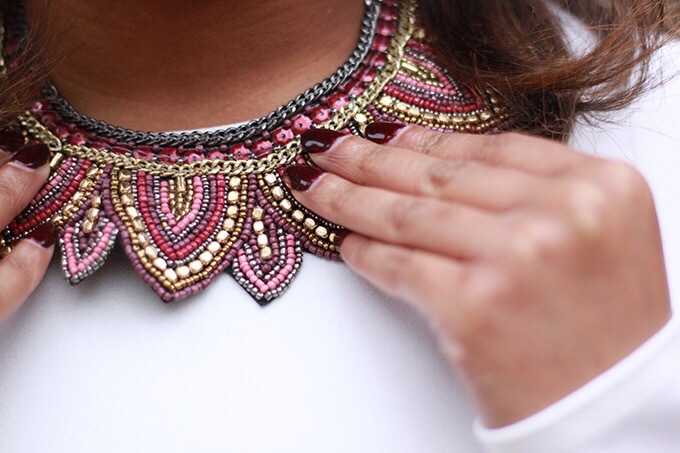 I decided to pair this dress with simple accessories like this lipstick from Nars and this bib necklace. The bold burgundy colors are a great way to add pops of color to this class white dress without over doing it.